BLOOMINGTON —REO Speedwagon will be coming to the IU Auditorium, presented by New Covenant Productions at 8 p.m. Friday, Dec. 11. Audiences in Bloomington will be treated to the band’s massive hit singles such as “Keep on Loving You,” “Take It on the Run,” “Can’t Fight This Feeling” and many more. Tickets go on sale beginning at 10 a.m. Friday, Oct. 2, at all Ticketmaster outlets and the IU Auditorium box office. The opening act will be Tim Stop. 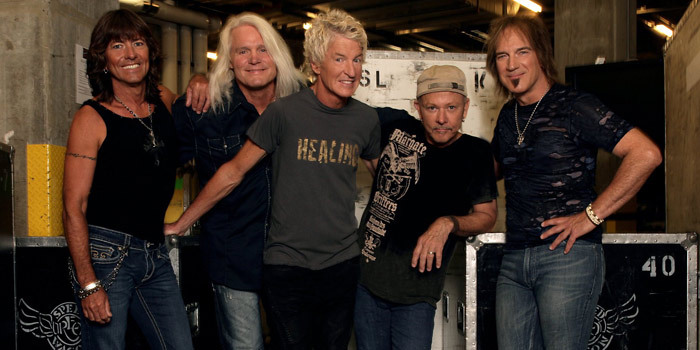 Formed in 1967, signed in 1971, and fronted by Cronin since 1972, REO Speedwagon has rocked to the top of the charts with a RIAA-certified 22 million albums sold in the U.S., 40 million around the globe and a string of gold and platinum records. The group’s nine-times certified platinum Hi Infidelity spent 15 weeks in the number one slot. Thirty–plus years later, Cronin and bandmates Bruce Hall, Neal Doughty, Dave Amato and Bryan Hitt are currently electrifying concert audiences on headlining tour dates and festival shows through 2015. Visit www.reospeedwagon.com/ and www.facebook.com/REOSpeedwagonOfficial for updated tour news and information.